When my mother-in-law was alive my Rosemary would go to visit her. When that happened I indulged in the supreme pleasure of eating a juicy steak while reading a novel or the newspaper. Once finished I would pick up the plate and lick it clean. Mazapán or marzipan in English seems to be another unique pleasure of mine that I cannot share with anybody in my family. Perhaps you must have some Spanish blood (and I do) to savour the delicacy that is mazapán and of which the best comes from the city of Toledo. I wrote about it here. This year to my delight Santa Barbara on Commercial Drive has stocked a Toledo marzipan. I purchased four boxes and ate one “de un tiro” or in one shot. The other boxes will be wrapped by Rosemary for Christmas. Some who read this might wonder why the box is scanned with a switch blade. 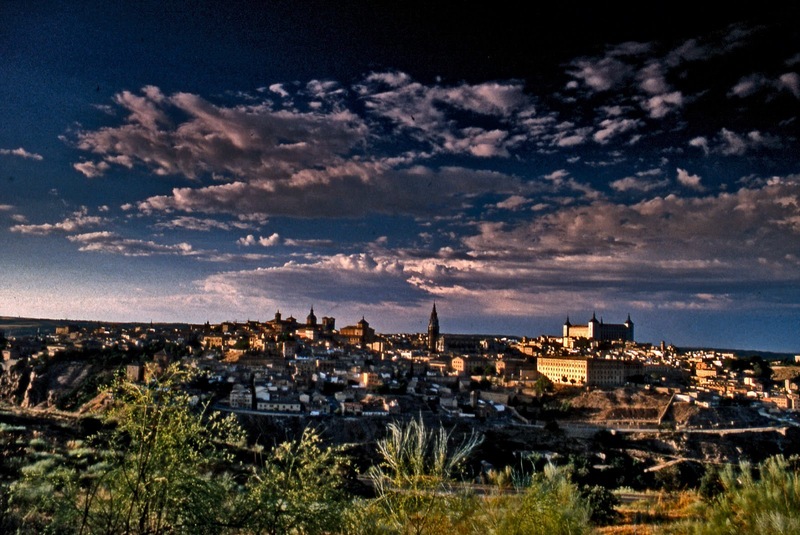 During the Middle Ages and after the swords fashioned in Toledo (Toledo steel) were famous. But sometime later in the 19th century the city of Sevilla began to make switchblades which to this day are called sevillanas. The oil is long gone but the switchblade is in my desk drawer and it reminds me of my Spanish heritage. And this is something that is part of the pleasure of eating Toledo marzipan. 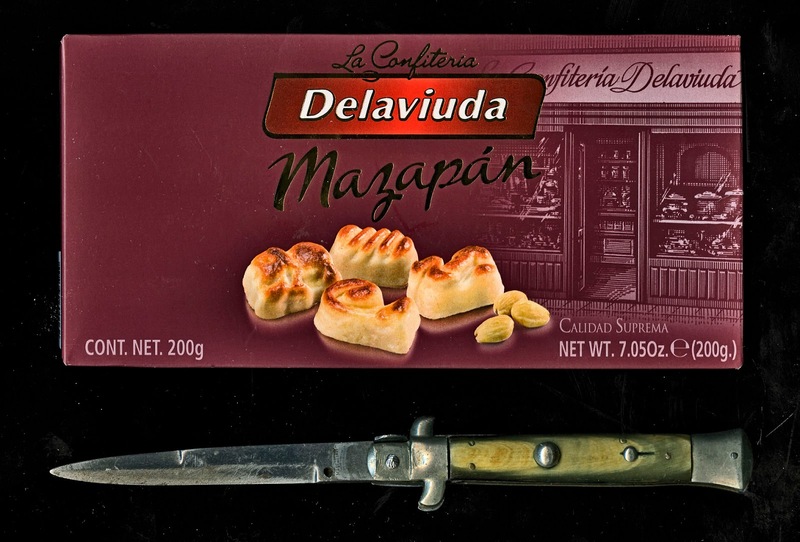 Note on the picture on the box that Spaniards toast their marzipan to resemble bread.